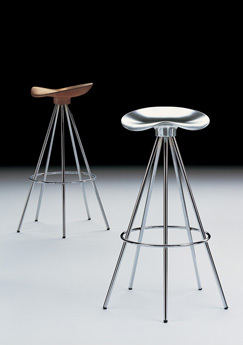 Stools with tented shaped leg frame in chrome. Swivel seats in cast polished aluminium or solid Beech.High/medium stools with footrest. Low stools with/without castors.